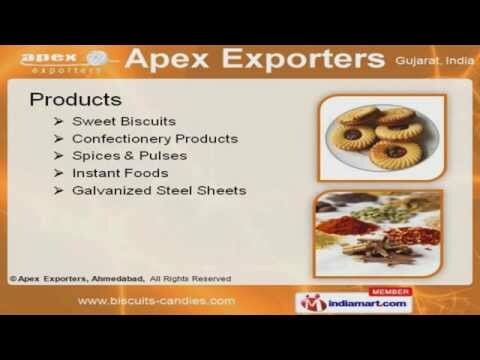 Welcome to Apex Exporters, Manufacturer and Exporter of Food Products and Galvanized Steel Sheets. We are an ISO 9001:2000, ANSI and ASQ certified company, incorporated in 2001 at Ahmedabad. We have spread our wings to Caribbean, Africa and other countries. International quality standards, free sampling policy and Total client satisfaction are some of the key factors behind our success. We offer a wide variety of Sweet Biscuits, Instant Foods and Confectionery Products. Sweet Biscuits offered by us are in huge demand across the global markets. Our company specializes in offering Confectionery Products that are available at affordable prices. We are highly instrumental in presenting a wide spectrum of Spices and Pulses. Our Instant Foods are in huge demand across the global markets. Along with that we offer Galvanized Steel Sheets that are setting a performance standard in the market.